JERUSALEM (AP) — China’s vice president has met with Israeli and Palestinian officials as part of a three-day trip to the region. 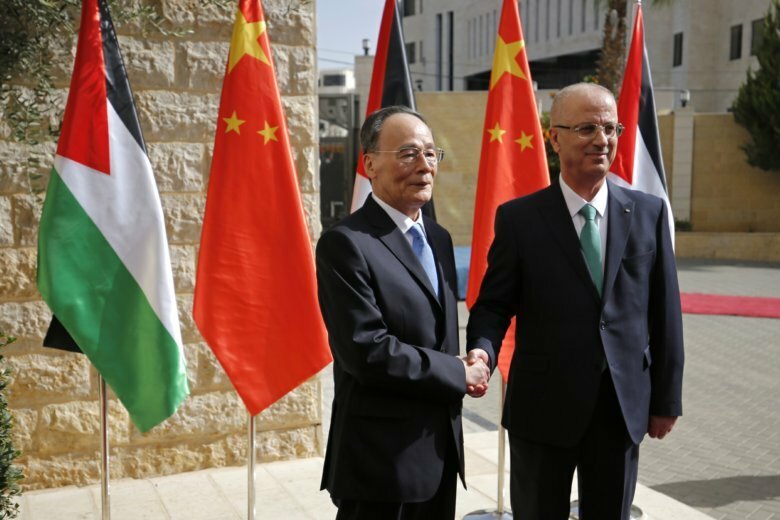 Wang Qishan visited the West Bank on Tuesday, where he met Palestinian Prime Minister Rami Hamdallah, laid a wreath on the grave of late Palestinian leader Yasser Arafat and toured Bethlehem’s Nativity Church. Wang’s trip to Israel illustrates the warming ties between the two countries. They have become close trade partners, with China showing interest in Israeli developments in agriculture, water and other environmental technologies. Wang, a confidant of President Xi Jinping, is one of the most senior Chinese officials to visit Israel since the countries established diplomatic relations in 1992.